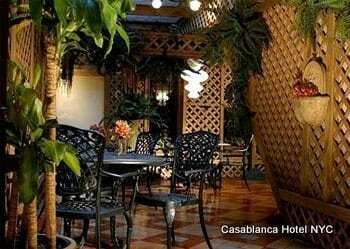 Beautiful private park, like a mini Central Park, with full cocktail bar, chaises, floor cushions, ivy on the walls. Heated in the winter. A bit further West than the other main hotels in this area and quieter. 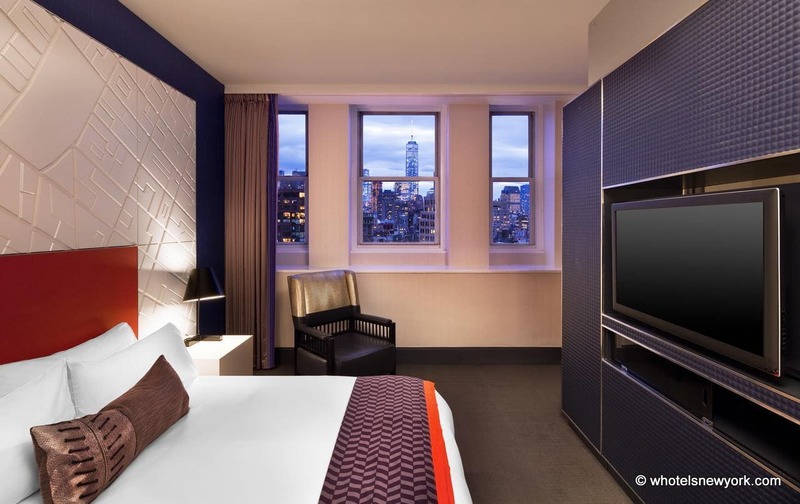 Located in Lincoln Center, guest quarters at the Empire Hotel offer earthy décor, leather furnishings, satellite television, room service, wireless Internet, and work stations. 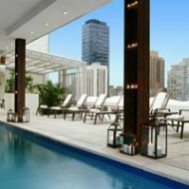 There is an onsite restaurant, cocktail bar and casual lounge, business and conference facilities, a rooftop swimming pool with with Cabana Rentals (May-September), spa services, and a fitness center. 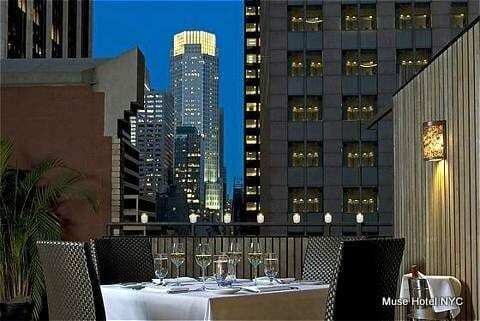 A top boutique Manhattan hotel, and prime location for viewing the Macy’s Thanksgiving Day Parade with 20 rooms that overlook the parade route. 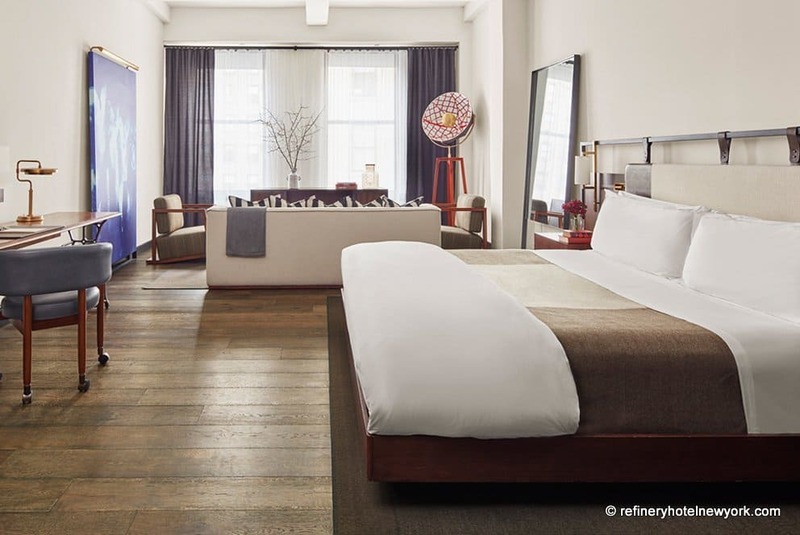 The Refinery offers 197 Guest Rooms with elegant furnishings that build upon the hotel’s industrial past. Each room has dark brushed oak hardwood floors, a walk-in rain shower and full entertainment facilities: Wi-Fi, iHome docking stations, LCD HD TVs and full cable. Luxury, style, class, and a touch of old fashioned New York chic are standard in every guest room at the Soho Grand Hotel. Perks include free bicycles, wireless internet access, silk bedspreads, private CD libraries, 24 hour room service, business and fitness facilities. Check out the Grand Bar & Lounge (year round), The Yard (May-Sept) with outdoor chaise lounges, cocktails, beautiful trees and foliage. The Mercer is Soho’s foremost luxury hotel – offering 75 guest rooms on six floors of a landmark Romanesque revival building in one of New Yorks most exclusive neighborhoods. The first hotel to offer an authentic taste of loft living, the Mercer is both home and hotel and offers an extensive list of luxurious guest services. 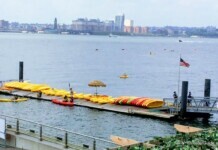 The modern and new James Hotel is packed with amenities including their lush Urban Garden, all-glass Sky Lobby and very exclusive rooftop deck and pool with river-to-river Manhattan views, rooftop yoga, free bicycles, a kids program and just about anything else you might want. 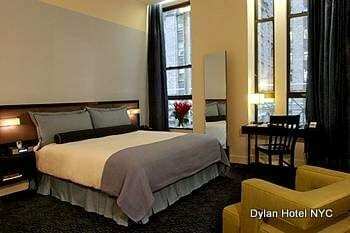 The Bowery Hotel consistently receives rave reviews and is a top choice for locals when they go on a "staycation." The lobby bar is a hip destination spot (saw Jake Gyllenhaal last time I was there) and the patio has leather club chairs and a fireplace in winter with an outdoor patio for summer. 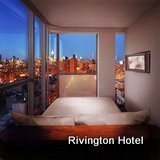 The Hotel on Rivington offers stunning views of Manhattan, with each room boasting floor-to-ceiling glass walls — but the vistas aren’t the only thing that will appeal to amorous guests. 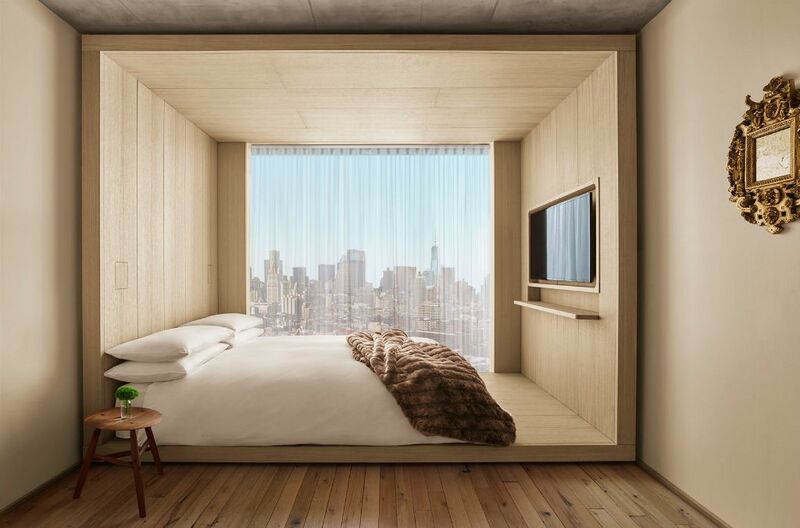 As one TripAdvisor traveler notes, “From the unconventional layout, to the glass curtain walling, to the voyeuristic shower walls, everything about this place screams hedonistic pleasure.” Check out their Romantic New York City hotel deals below. Opulent. Bohemian. And everywhere in between. 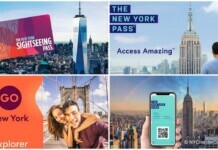 Bridging the gap between old and new, New York’s famous landmark Guardian Life Building has undergone renovations and reemerged as the stylish W New York – Union Square. The 1911 Guardian Life building – designed in the Beaux-Arts style – is a magnificent granite and limestone structure with all the exquisite details inherent in traditional European architecture. Opened in 1924 and named after President Theodore Roosevelt, the Roosevelt Hotel New York offers a 1920s ambience that includes original Tiffany crystal chandeliers, gilt trim, coffered ceilings, and wrought-iron balconies overlooking the lobby. 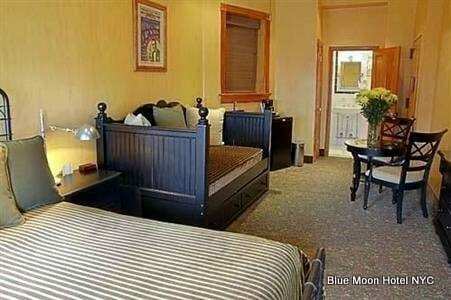 They have over 1000 rooms, including 52 suites. 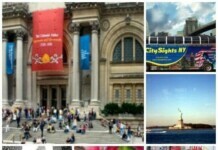 The hotel is three blocks from Rockefeller Center, the Chrysler Building, Grand Central Terminal and numerous Broadway theaters. 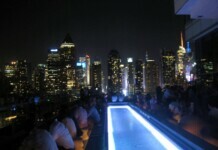 Awesome rooftop and lounge and most interesting hotel rooms in all of NYC! The Library Hotel is organized like a library with 10 floors arranged according to the Dewey Decimal System. Each floor has a theme (literature, languages, math & science) and each room has a theme and tons of books – try the Love Room, Astronomy Room or Fairy Tales Room. Airy, light-filled guest rooms are appointed with streamlined European furnishings, tailored minibars, and lavish linens. Every room is large, has an outdoor terrace and loft-like ceilings, and features funky vintage books, king-size beds, and gorgeous tiled bathrooms with dual showerheads. 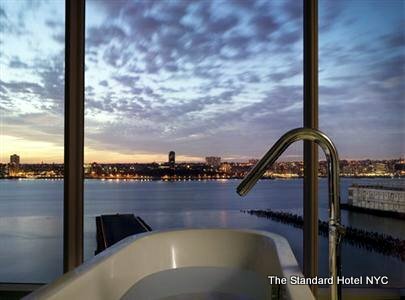 The Standard, New York features modern guest rooms with floor-to-ceiling windows, seating areas, plasma TVs with HD channels and some breathtaking views. Restaurants include the hip Standard Grill or guests can have a cocktail, listening to a live DJ, in the trendy Living Room lounge. The seasonal outdoor Biergarten offers a German menu.